Previously I have written an article on Linux Bash Shell on Windows. 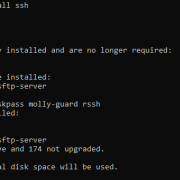 I have explained how to initialize and set up a Linux distribution to use Bash Shell on. 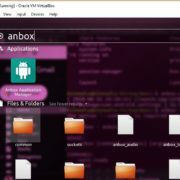 I have chosen Ubuntu 16.04 LTS for that tutorial. But there is something new at present. You can even get Ubuntu 18.04 Bash Shell on Windows. Ubuntu 18.04 LTS is now available on the Windows Store. You can use Linux Bash Shell on Ubuntu 18.04 LTS from now on. Just download it and get started. You can read my old tutorial here, to set up a Bash shell. 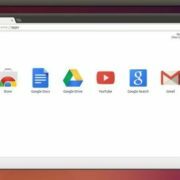 Still in love with Ubuntu 16.04 LTS? No worries. It is still there. Just choose the most appropriate one depending on your taste. You can even use other Linux distributions to access the Bash Shell. You can get OpenSuse, Fedora, Kali and many more. Most users can get confused seeing two Ubuntu versions in the Store. This article is for them. It is worth going for Ubuntu 18.04 Bash shell. Go for the older version if you have some special requirements. I am sure the small update was helpful for you. Facing issues installing Ubuntu 18.04 Bash Shell! Let me know about it in the comment section down below.